UK graphic novelist I.N.J. Culbard adapts four classic tales of horror by writer H.P. Lovecraft. The Dream-Quest of Unknown Kadath follows the search for a fabled city of the gods; The Case of Charles Dexter Ward sees authorities baffled by the escape of a dangerous inmate from a Rhode Island asylum; At The Mountains Of Madness takes us to Antarctica, where polar explorers uncover secrets from the past that forewarn of a terrifying future; and in The Shadow Out of Time, a university professor awakens from a five-year reverie and attempts to regain his lost memory. I.N.J. 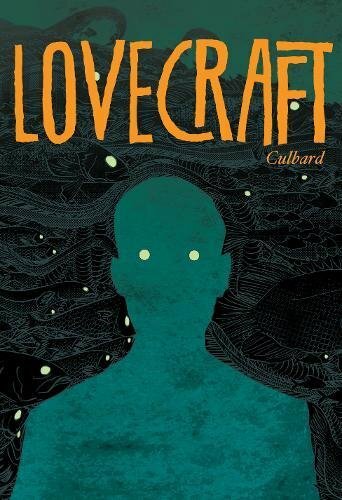 Culbard has expertly adapted four works by the 20th century’s master of the macabre, H.P Lovecraft, whose influence has been felt across film, novels and comics. His tightly told, beautifully drawn narratives capture the murky, demonic, distinctly Lovecraftian world of the original stories. Whilst all four have previously been available in separate volumes, LOVECRAFT collects this fiendish quartet into one lavish hardcover edition for the first time. I.N.J. Culbard is an award-winning artist widely known for his graphic novel adaptations of classics. He collaborated on a critically acclaimed Sherlock Holmes series with Ian Edginton and has worked on The New Deadwardians for Vertigo, Dark Ages for Dark Horse and Brass Sun for 2000AD. His first original graphic novel, Celeste, was nominated for the British Comic Award. SelfMadeHero will release LOVECRAFT on 4th October 2018 in the UK and 30th October 2018 in America.